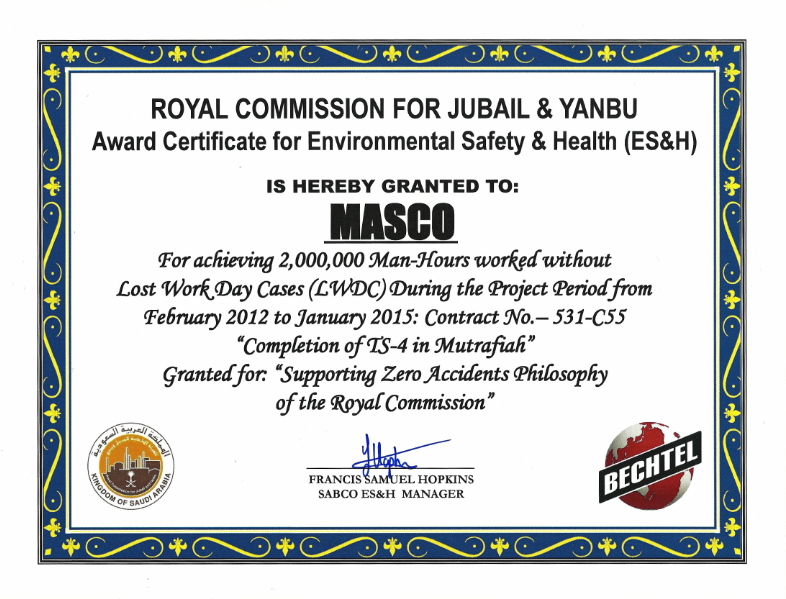 MASCO was granted with Certificate for Environmental Safety & Health (ES&H) from ROYAL COMMISSION FOR JUBAIL & YANBU for achieving 2,000,000 Man-Hours worked without Lost Work Day Cases (LWDC) During the Project Period from February 2012 to January 2015: Contract No. – 531-C55 “Completion of TS-4 in Mutrafiah” – Jubail. 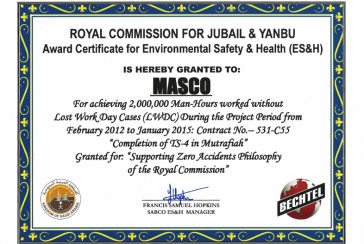 Granted for: "Supporting Zero Accidents Philosophy of the Royal Commission"